This building displays slightly more developed roof decoration than the Imai Residence. An impressive ridge end tile with the shop's name and a double-layered gable tile folded in the shape of the Chinese character for “person” are noted. 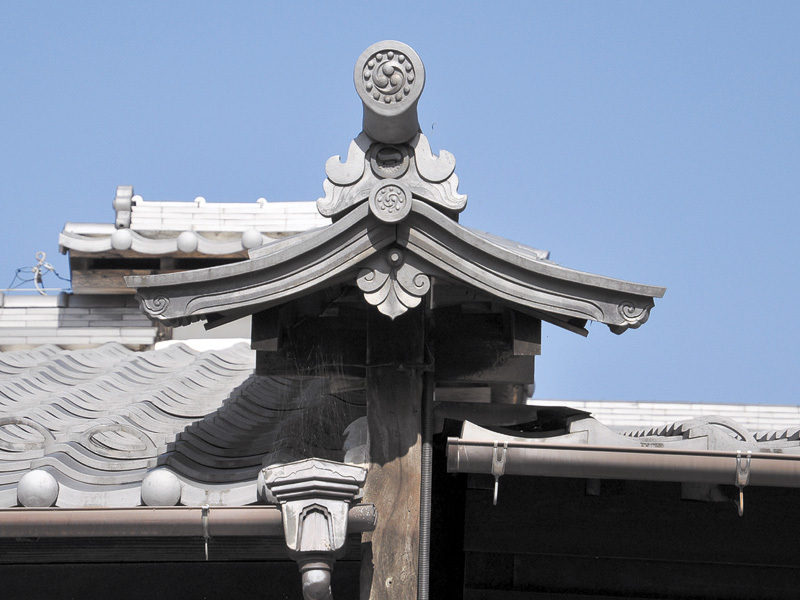 Under the gable tile, a simple fish decoration is mounted.